News From Space: We Come From Mars! Men are from Mars, women are… also from Mars? That is the controversial theory that was proposed yesterday at the annual Goldschmidt Conference of geochemists being held in Florence, Italy. The proposal was made by Professor Steven Benner of the Westheimer Institute of Science and Technology in Florida and is the result of new evidence uncovered by his research team. 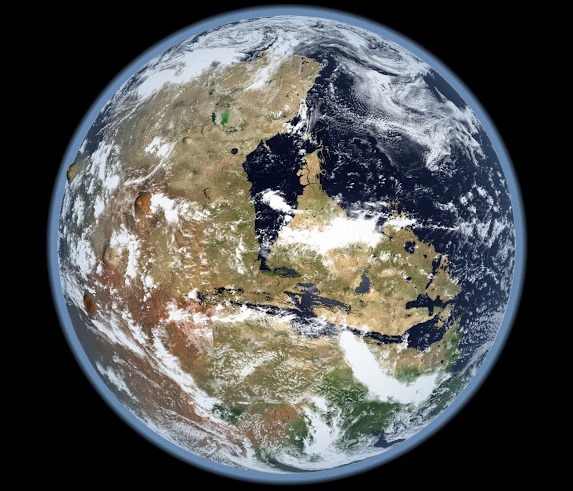 The theory that life on Earth originated on Mars has been argued before, but has remained contentious amongst the scientific community. 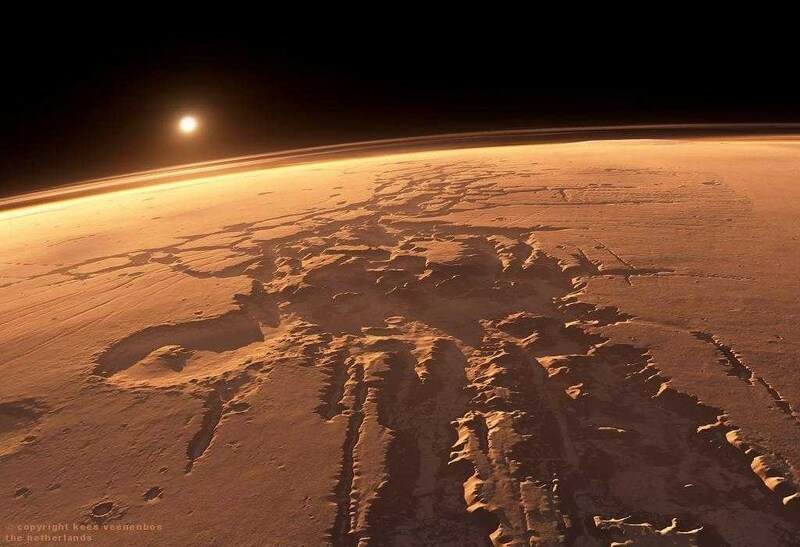 However, Benner claims that new evidence supports the conclusion that the Red Planet really is our ancestral home by demonstrating that the elements for life here could only form on Mars, and came here via a Martian meteorite. 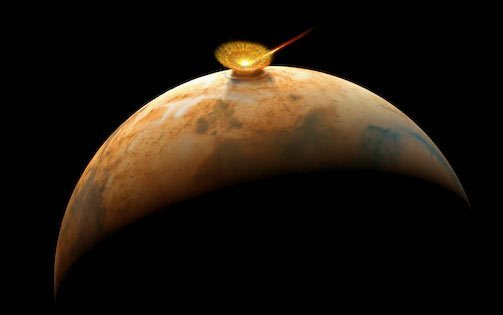 According to the theory, rocks violently flung up from the Red Planet’s surface during mammoth collisions with asteroids or comets then traveled millions of kilometers across interplanetary space to Earth. Once they reached Earth’s atmosphere. they melted, heated and exploded violently before the remnants crashed into the solid or liquid surface. All that would be needed is for a few of those space born rocks to contain microbes from Mars surface. These building blocks of life would have to survive the journey through space and the impact on Earth to make this happen. But research into Exogenesis – the possibility that life was transplanted on Earth by meteorites – has already shown that this is possible. What’s more, NASA’s Curiosity Rover was expressly created to search for the the environmental conditions that would support life. Less than half a year into its mission it accomplished just that, locating proof of the existence of water and a habitable zone. Between it and the Opportunity Rover, the search to determine if life still exists – in the form of organic molecules – continues and is expected to yield results very soon. But of course, Benner was quick to point out that there is a difference between habitability (i.e. where can life live) and origins (where might life have originated). The presence organic molecules alone is not enough when it comes to the mystery of life’s creation, and when it comes to making the great leap between having the necessarily elements and the existence of living organisms, scientists remain hung up on two paradoxes. These are known as the tar paradox and the water paradox, respectively. The former paradox addresses how life as we know it comes down to the presence of organic molecules, which are produced by the chemistry of carbon and its compounds. However, the presence of these compounds does not ensure the creation of life, and laboratory experiments to combine and heat them has only ever produced tar. Certain elements seem able to control the propensity of organic materials to turn into tar, particularly boron and molybdenum, so we believe that minerals containing both were fundamental to life first starting. Analysis of a Martian meteorite recently showed that there was boron on Mars; we now believe that the oxidized form of molybdenum was there too. The second paradox relates to water, which is believed to be intrinsic for life to flourish, but can be also hazardous to its formation. According to modern research, RNA forms prebiotically, requiring mineral species like borate to capture organic elements before they devolve into tar and molybdate to arrange the material to give it ribose – organic sugars, also intrinsic to life. All of this has served to throw the previously-held theory – that life came to Earth through water, minerals and organics being transported by comets – into disarray. Based on this new theory, comets are a bad candidate for organic life since they lack the hot, dry conditions for borate and molybdate formation. 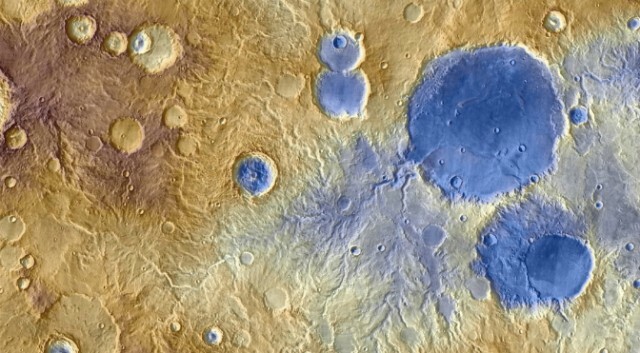 If the new theory is to be believed, Mars boasted the proper conditions to create the elements for life, while Earth possessed the water to help it flourish. If such a partnership is needed for the creation of organic life, then scientists will need to reevaluate the likelihood of finding it elsewhere in the universe. Between the existence of water and hot dry environments, life would seem to require more specialized conditions than previously though. But of course, the debate on whether Earthlings are really Martians will continue as scientific research progresses and definitive proof is discovered and accepted by the majority of the scientific community. 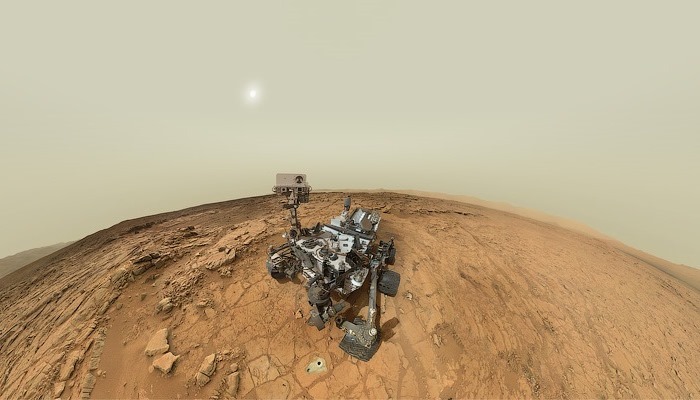 In the meantime, Curiosity is expected to rendezvous with Mount Sharp sometime next spring or summer, where it will determine if organic molecules and elements like Boron and Molybdenum exist there. And on Nov. 18th, NASA will launch its next mission to Mars – the MAVEN orbiter – which will begin studying the upper Martian atmosphere for the first time, determining its previous composition, and where all the water went and when was it lost. 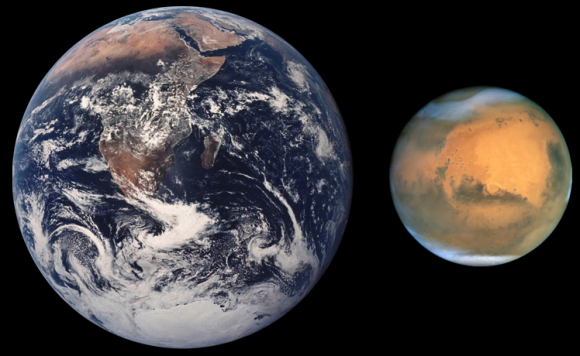 So we can expect plenty more news to come to us from our neighboring Red Planet. Wait and see!